Keep track of your website visitors, locate your website pages that are under-performing well and measure visitors engagement. As a standalone web service, Baracci Solutions offers Google Analytics assessment and optimization of your current website. 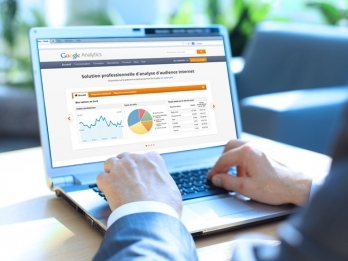 We understand that Google Analytics can be confusing to understand and especially to manage. Let us help you ensure that your business is getting the best out of the Google Analytics service. Google Analytics lets you measure your Search Engine performances such as how visitors use your site, where they came from (Montreal, Canada or internationally) and for how long they stayed connected to your content. Google Analytics also lets you track the browsing habits of your mobile website visitors and even your IOS and Android built mobile apps. To ensure that Google Analytics is matched perfectly with your online business needs, we will build a personalized metrics dashboard, giving your business instant access to the important and relevant data. We will also create tailored reports grouping various relevant insights. All of this information lets you easily keep track of how many visitors your website is attracting, quickly locate which of your website pages are performing well and which ones are underperforming as well as how visitors are engaging with your website. Moreover, Google Analytics lets your keep track of you social media campaign statistics by offering information about how visitors interact with sharing features on your site and engage with your social media content.